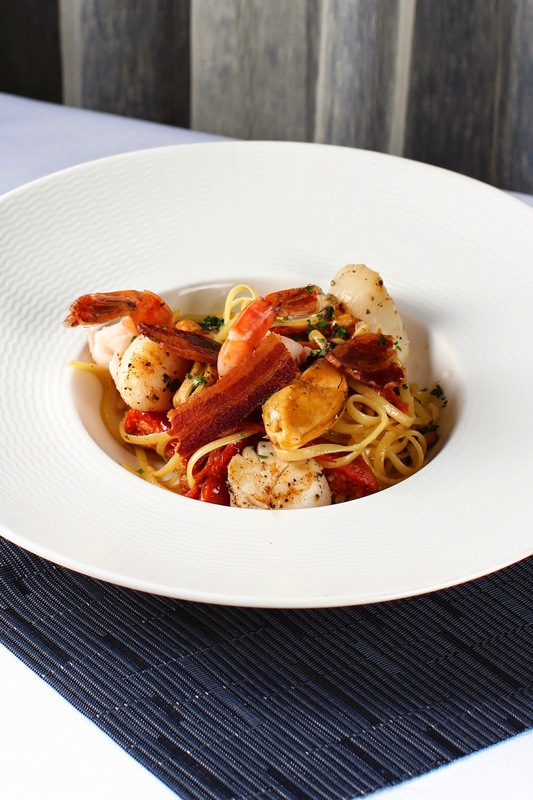 [CLOSED] The Royal Mail Restaurant & Bar Review, Singapore | JACQSOWHAT: Food. Travel. Lifestyle. 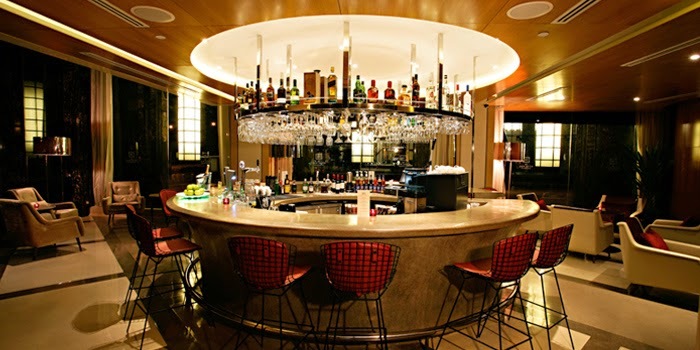 Located within the CBD, The Royal Mail caters to patrons who enjoy a comfortable after-work drink. The Royal Mail is a 60-seater establishment housed within the historical and culturally-rich Ascott Raffles Place. After two years, The Royal Mail Bar, the extended beverage arm of The Royal Mail Restaurant, introduces new specialty cocktails and British-inspired tapas to its menus. 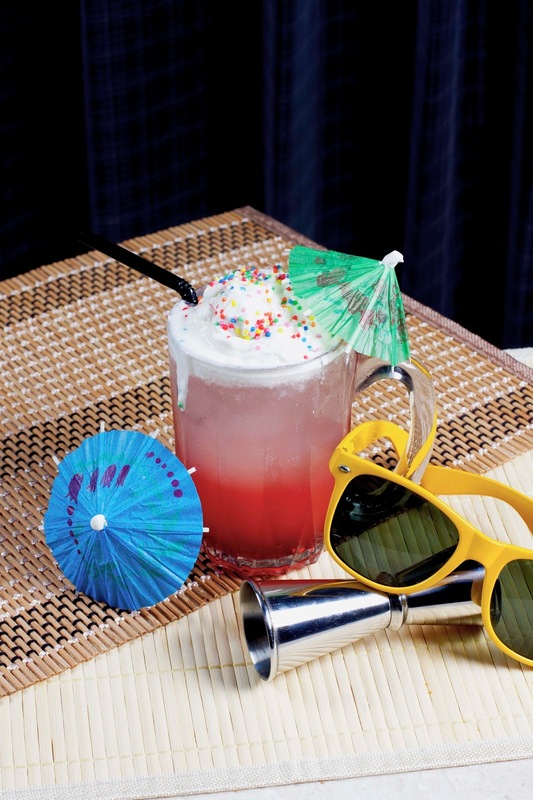 Using everyday ingredients, the bar’s resident bartender has whipped up 15 new concoctions. 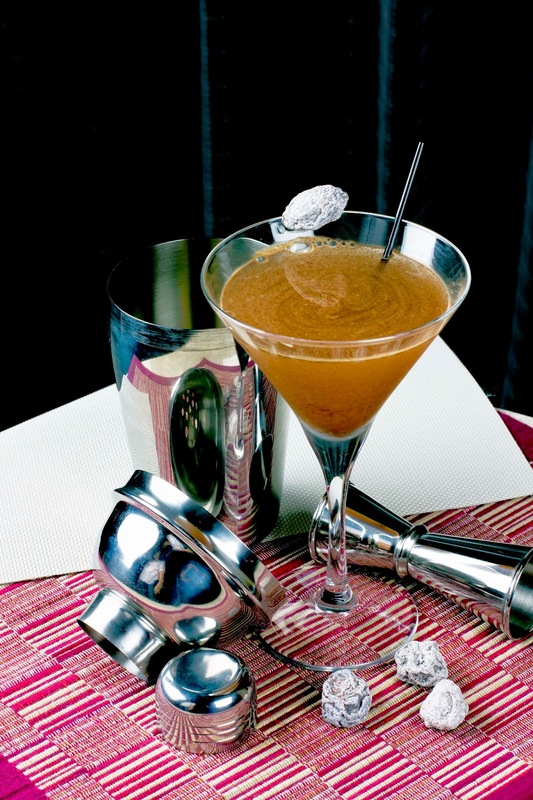 The recipes are borne out of his search for intriguing and flavorful drinks. I'm glad to be able to attend a tasting session to indulge myself with some delish bar bites and eye-catching drinks. Old Fashion Spice (Top left clockwise) is Royal Mail's top signature cocktail. A perennial favorite, is given a slightly sweetened aftertaste with the deft infusion of honey, cloves and a burning stick of cinnamon. It was uniquely good but I feel it's not a taste that youngsters would go for. Tina Funfetti - A boozy milkshake for the kid with a sweet tooth in you. 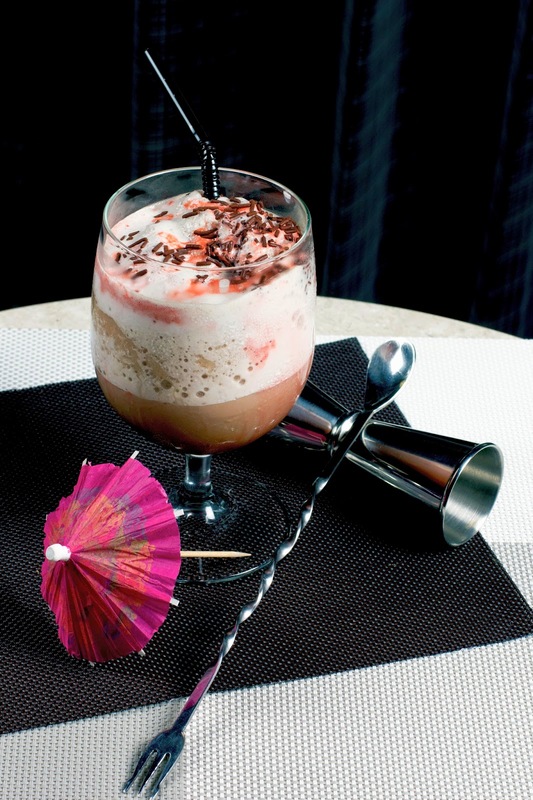 It's blended mix of Baileys, chocolate syrup, milk and butterscotch w a drizzle of grenadine. 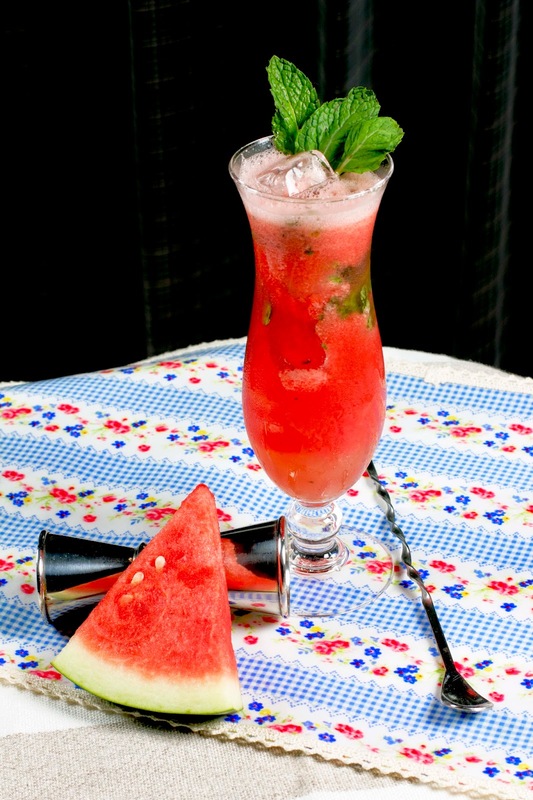 Lovestruck Ginny - It's basically gin shaken with watermelon juice, sugar syrup, mint leaves and sweet & sour. Definitely a refreshing one. Billion Dollar Margarita - For your tequila fix! Interesting name, you'll know why after reading the description. 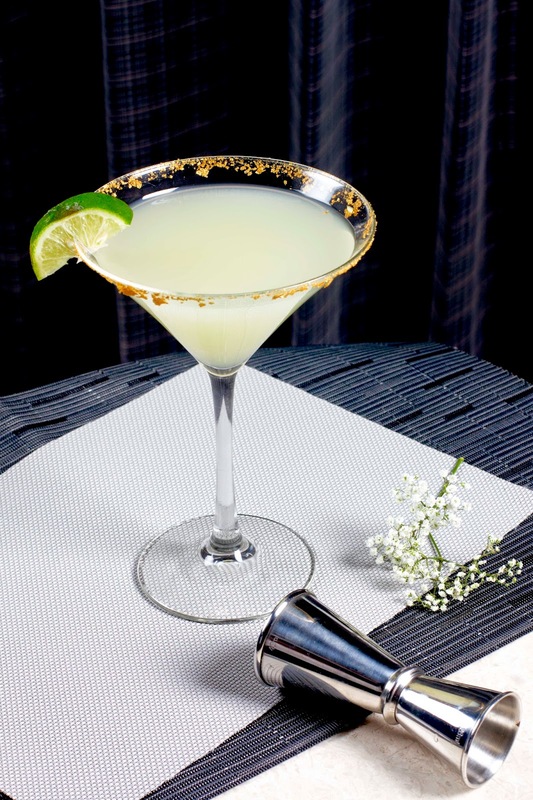 It's tequila and grand mariner shaken with lime juice, garnished with gold flakes. 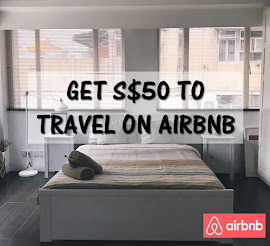 Does it sound luxury to you? And the list goes on with a total of 8 unique choices on the signature cocktails menu, from top left clockwise. Agent 006 - A flaming take on the mojito with added punch. 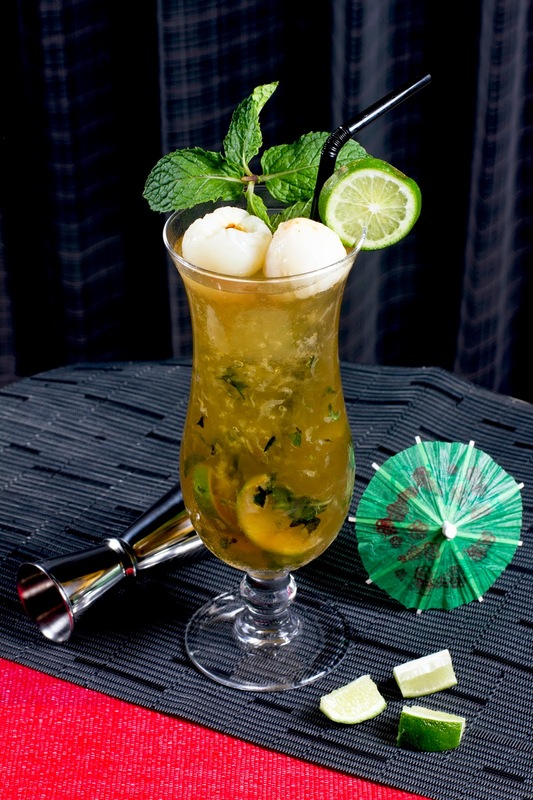 Muddled with lime juice, sugar and mint leaves, with rum and lychee juice with a burning steam of Bacardi 151. We were busy capturing the best shots when the bartender lighted the flame on the surface. 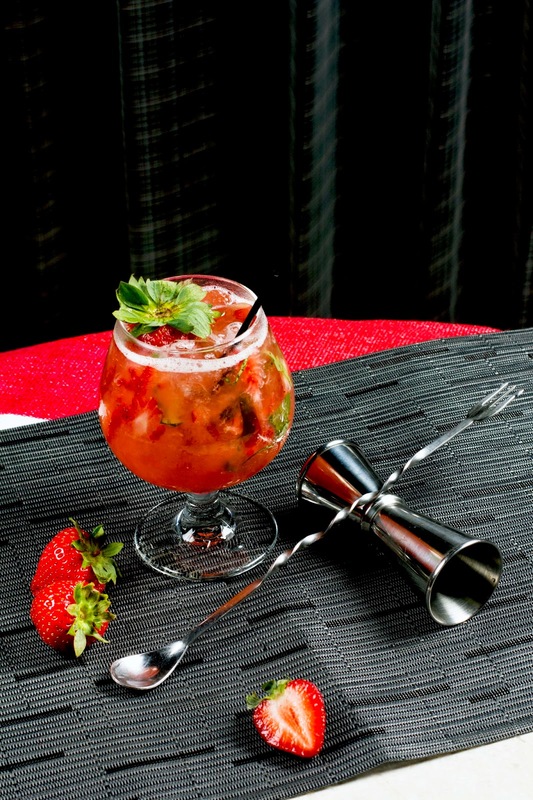 Dear Cupid - Gin shaken with basil leaves, sugar syrup and lime juice topped with strawberry. Be My Man(go) - A fruity take on the classic daiquri drink. 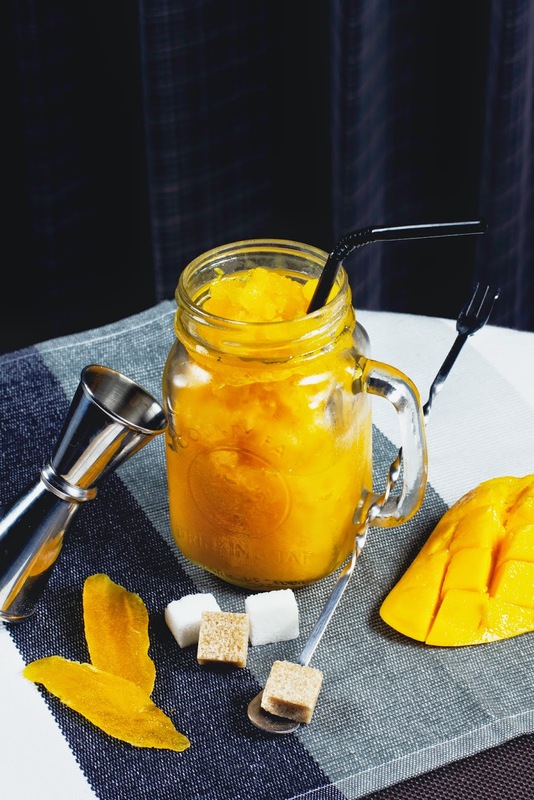 One of the most refreshing picks, it's basically mango puree blended with rum and sugar. Foam Party - A fizzy combination of Malibu, Bols triple sec, Lime juice, grenadine and sprite with whipped cream and rainbow sprinkles. It tasted like milkshake to me, pretty good! Timeless English (top photo) - The Royal Mail's signature martini. 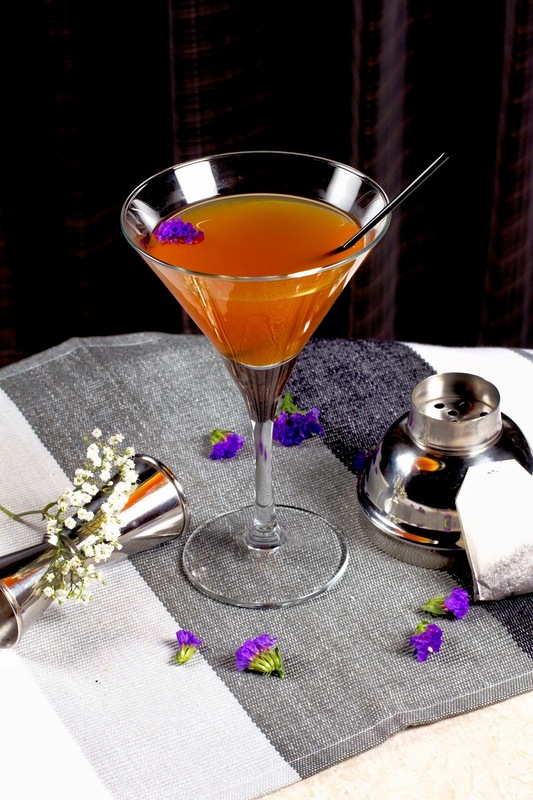 With Timeless English, two classics are cohesively melded - earl grey tea and the classic martini drink - into one heady cocktail. 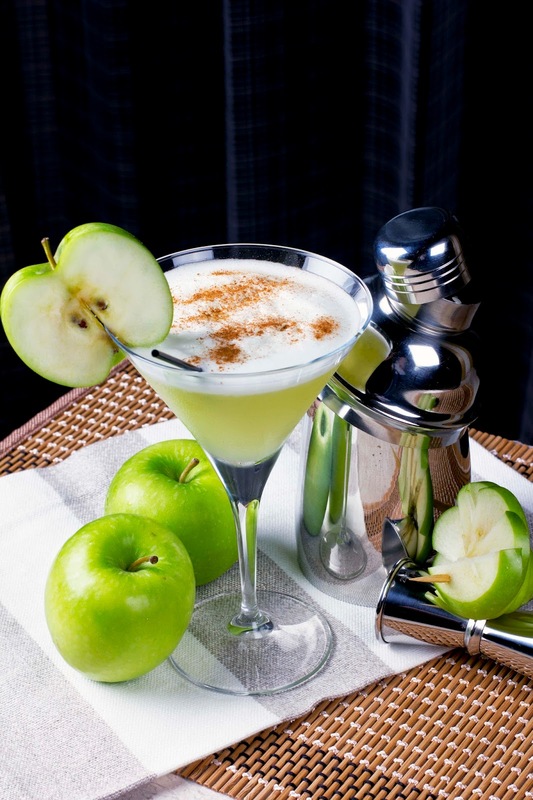 Apple Of My Eye (top left clockwise) - Muddled green apple slices shaken with Vodka, Frangelico, Sour Apple and Egg White for a frothy finish. One of my favorite pick from the Martini's menu. A Day Of Summer - the name of this drink doesn't relate to me because everyday is summer in Singapore. :P Anyway, it's a milky citrus mix with fresh notes of almond. 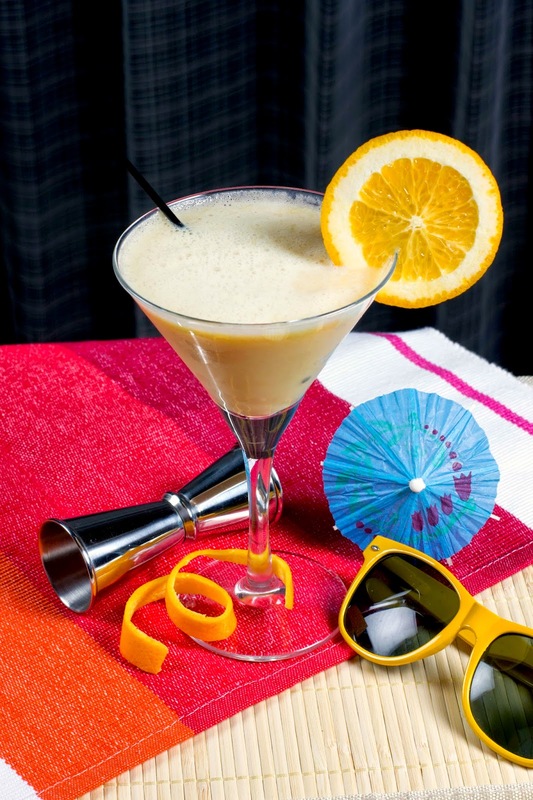 Orange juice shaken with Baileys, amaretto and Bols Triple Sec. Wrong Side Of The Bed - coffee lovers or if you need caffeine to keep you up all night, this is for you! 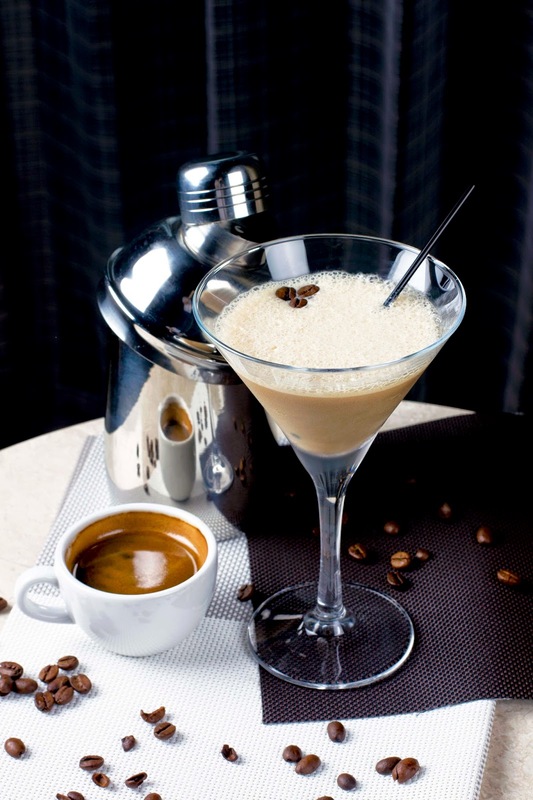 A shot of espresso shaken with Vodka, Kahlua and Baileys. Moulin Rouge - this is a little sweet, spunky and leaves you wanting more. 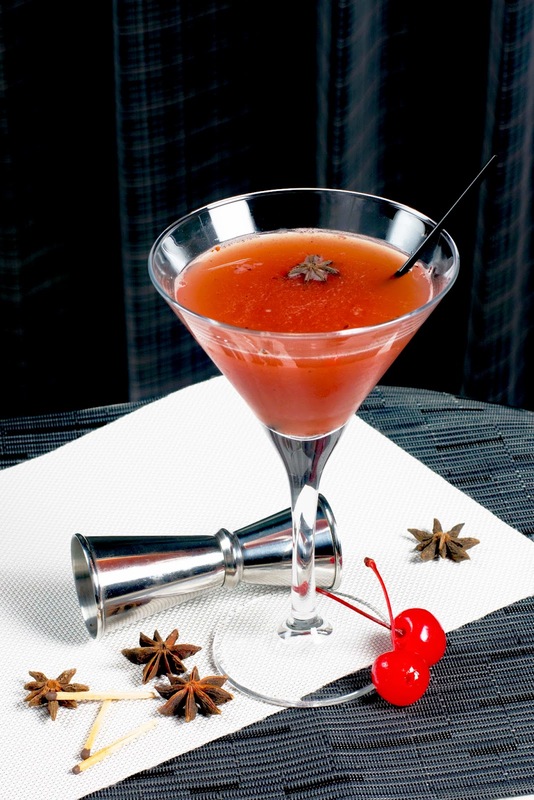 Flame-torched star anise and cherry shaken with Gin, Sweet & Sour and Lime Juice. Plum Job - Looking for one to whet your appetite and improve your digestion? Here's sour plum powder shaken with Vodka and Sprite, garnished with a sour plum for a lingering taste. Chocolate Dream - For the chocolate lover in you. This is the first choice I pick in the Martini segment. 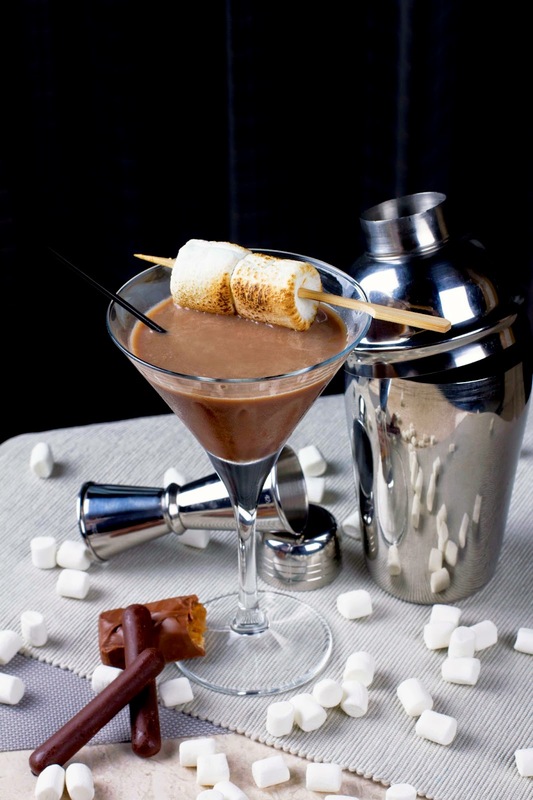 It's shaken Baileys, Khalua and Vodka poured onto a swirl of Chocolate Syrup, topped with Roasted Marshmellows. Happy Hour at The Royal Mail Bar is from 5pm to 8pm, where all specialty cocktails go for $10 each, and 1-for-1 House Pour (Gentlemen’s Pour 45ml) go for $15. Complementing the specialty cocktails is a gamut of tasty bar grub which include the signature dish known to The Royal Mail Restaurant - Roast Prime Rib ($28). (top left clockwise). 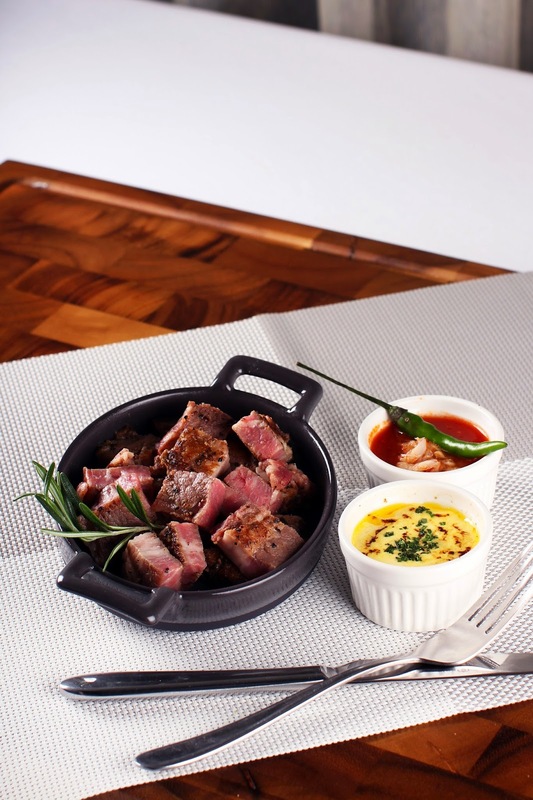 The Cubed Beef Steak is an irresistible offering: each morsel is tantalizing, especially when indulged with the accompaniment of Spicy Crab-Tomato and Béarnaise sauces. I'm sorry, but it's really damn good. Sauteed Chorizo Sausages ($16) - with Tomato Concasse, Chilli Flakes and toasted Baguette. My partner didn't like it because of the strong 'Indian spices' taste which I don't think so imo. 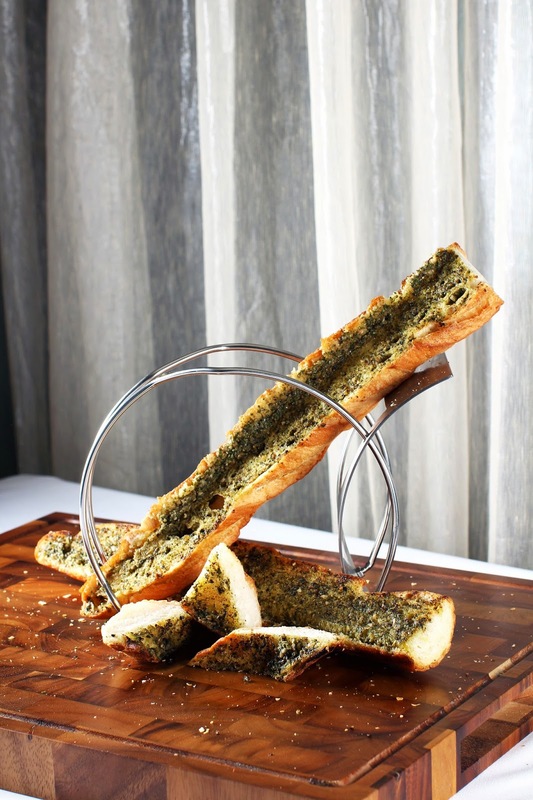 Garlic Bread ($8) - half loaf portion. Freshly toasted and crispy, delish. 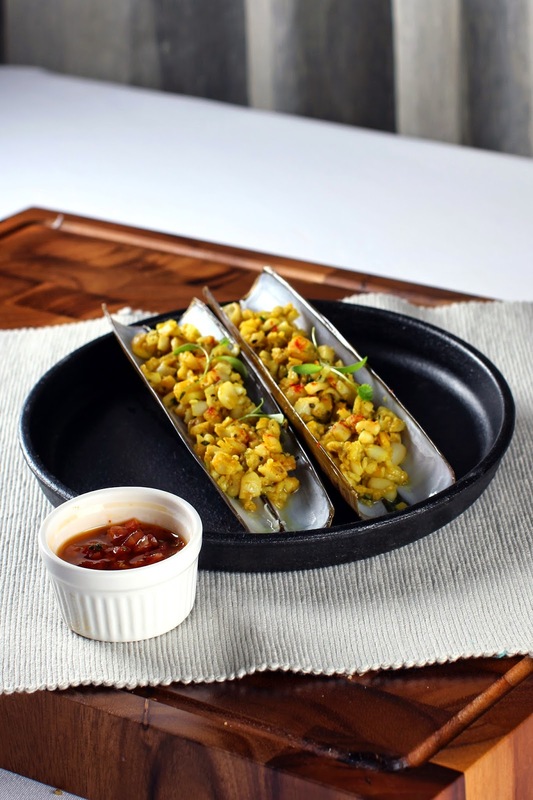 Razor Clams & Squid ($20) - with chilli and tomato salsa. Goes really well with a glass of cocktail! 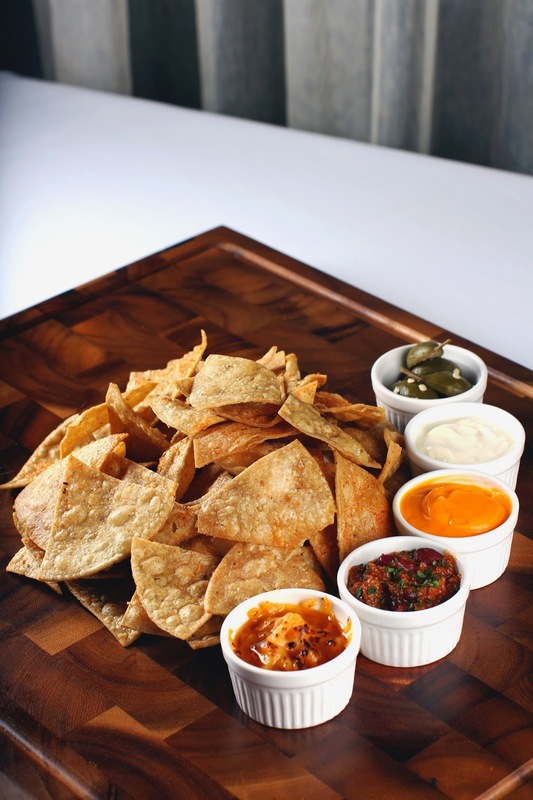 Classic Corn Tortilla Chips ($12) - top left: with spicy beef ragout, jalapenos, melted red cheddar with tomato salsa, sour cream and cheese sauce. The list of accompanied condiments already sounds appealing. 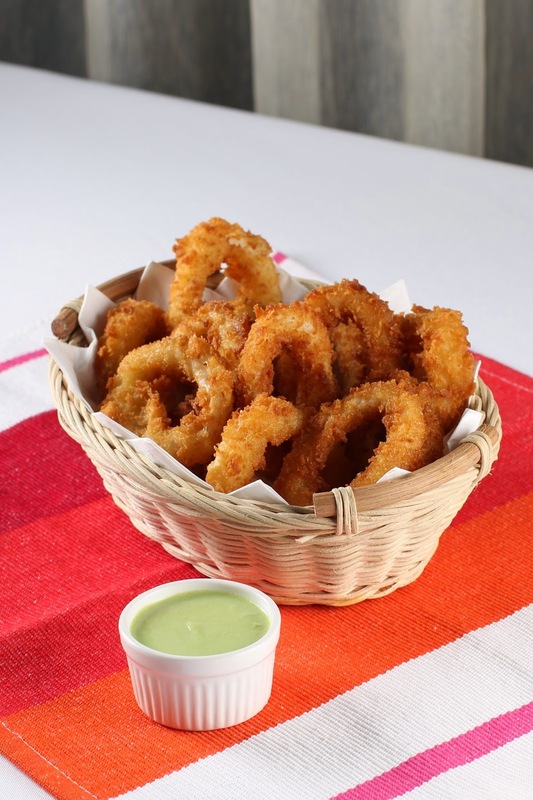 Beer-Battered Calamnari Rings ($16) - with Wasabi Aioli and Lemon Wedges. 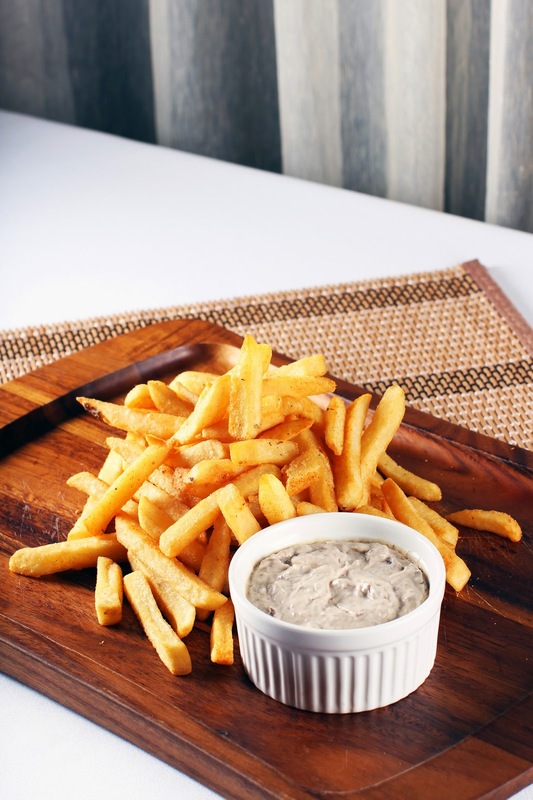 Straight Cut Chips ($12) - with truffle mayo. Truffle fries are perfect when comes to paring with alcoholic drinks. 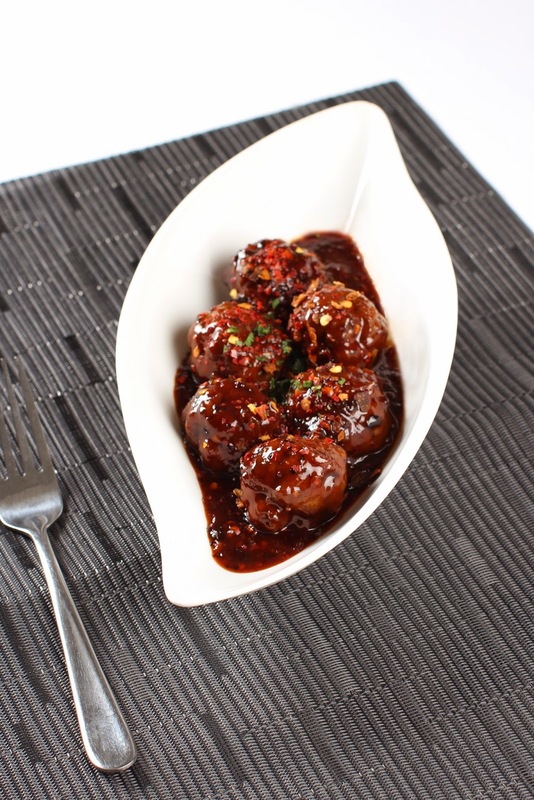 BBQ Sweet & Spicy Meat Balls ($14) - The other equally satisfying and new item on the bar grub menu is BBQ Sweet and Spicy Meatballs. 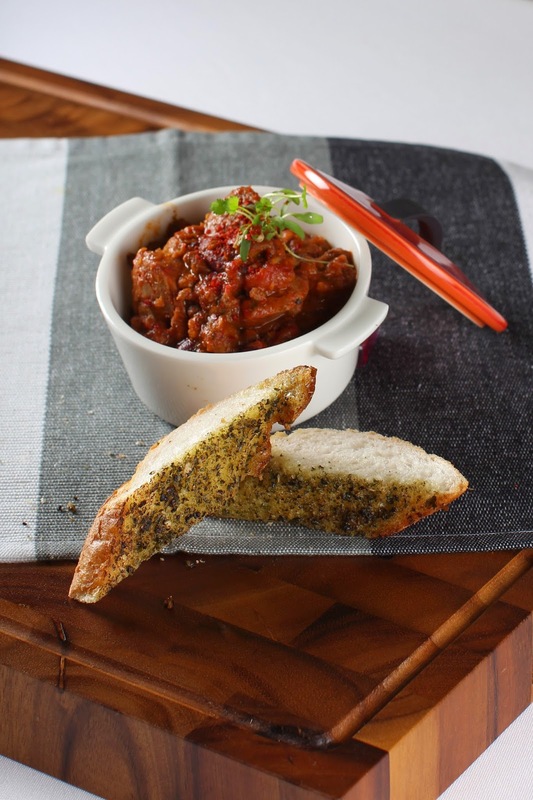 Flavours leap off the plate as the meatballs are doused in a piquant homemade BBQ sauce, tempered by raspberry jam and chilli flakes – an excellent sharing dish among colleagues and friends. 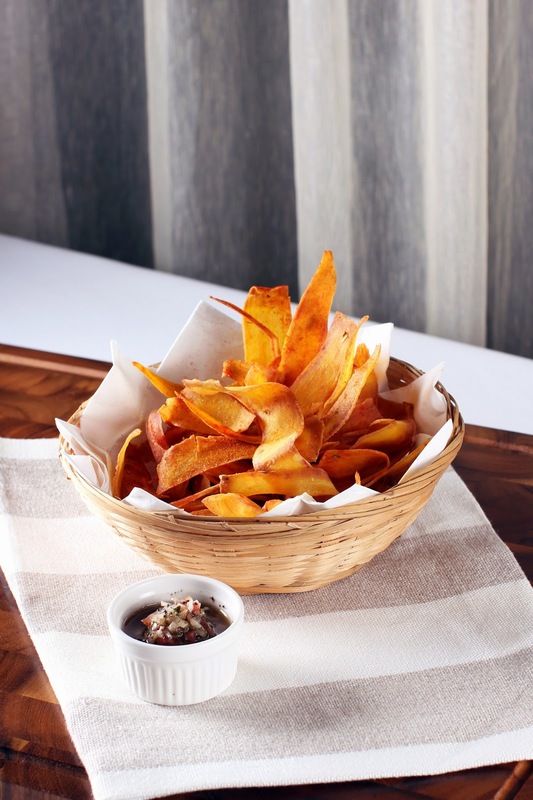 Sweet Potato Chips ($12) - The kitchen team also presents Sweet Potato Chips with Shallot & Onion Salsa, a healthier alternative to the popular snack. These homemade roasted chips are enticingly crispy on their own; dip them into the salsa and the enjoyment is increased manifold. 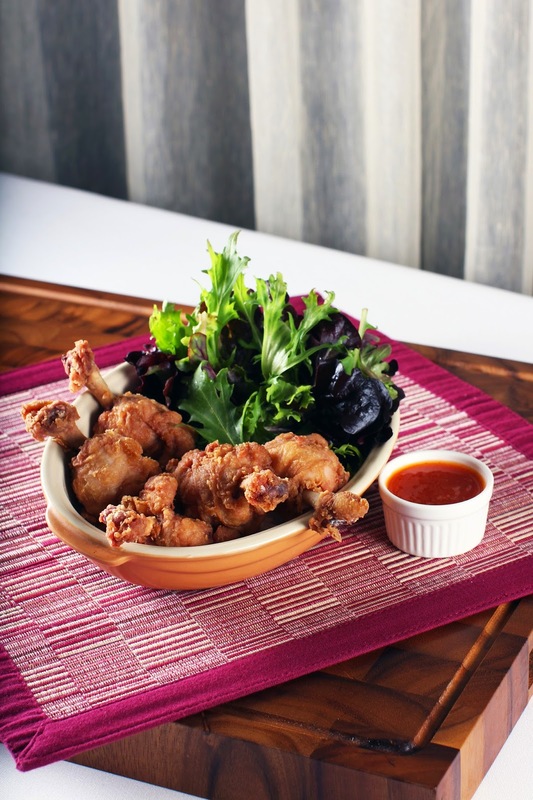 Shrimp Paste Chicken Drumlets ($14) - Can't go wrong with chicken drumlets! Apart from cocktails and bar grub, The Royal Mail offers food items as well. 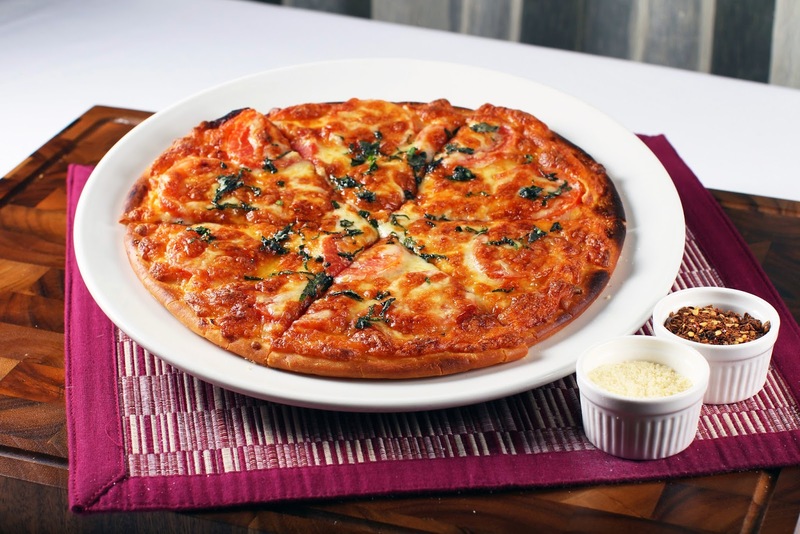 Some of the mains includes: Margherita Pizza, Steak Sandwich, Beer Battered Fish & Chips, Seafood Aglio Olio and more. 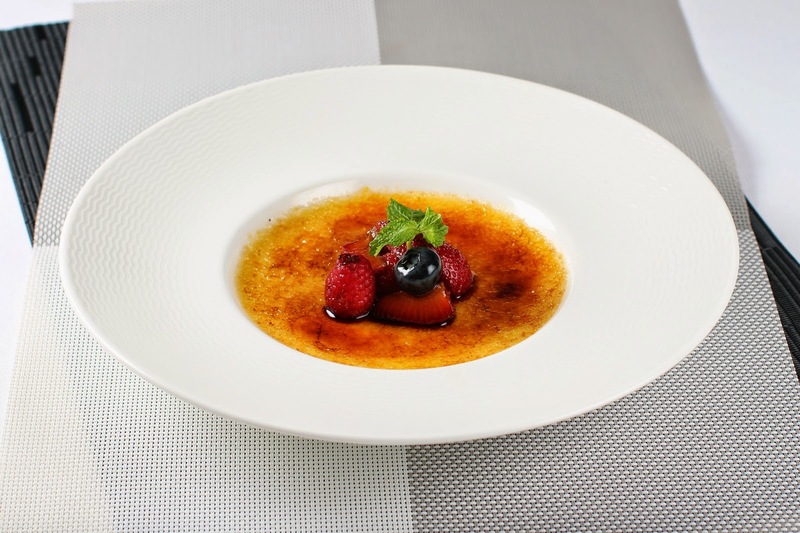 And of course how could we left out the dessert menu, some of the offerings include: Tiramisu Frozen Profiteroles, Vanilla Creme Brulee etc. The wine cellar, houses a well-balanced range of wines to suite a variety of palates. 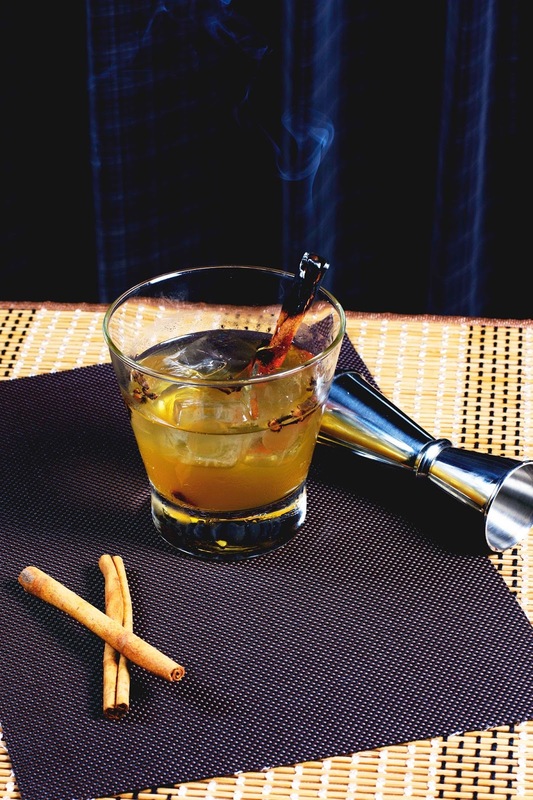 The bar also serves a selection of spirits and liquors including renowned single malt whiskies. The Royal Mail Bar serves walk-in customers and guests of Ascott Residences from Monday to Friday, 3pm to 11pm. The Happy Hour deals changes daily with a wide selection of drinks to pick from. The Royal Mail focuses on working the taste-buds of guests and prices are easy on your wallet. This is probably my first review on a bar and never knew complementing cocktails and prime rib (Best Prime Rib in SG as suggested by LadyIronChef) goes perfectly well. 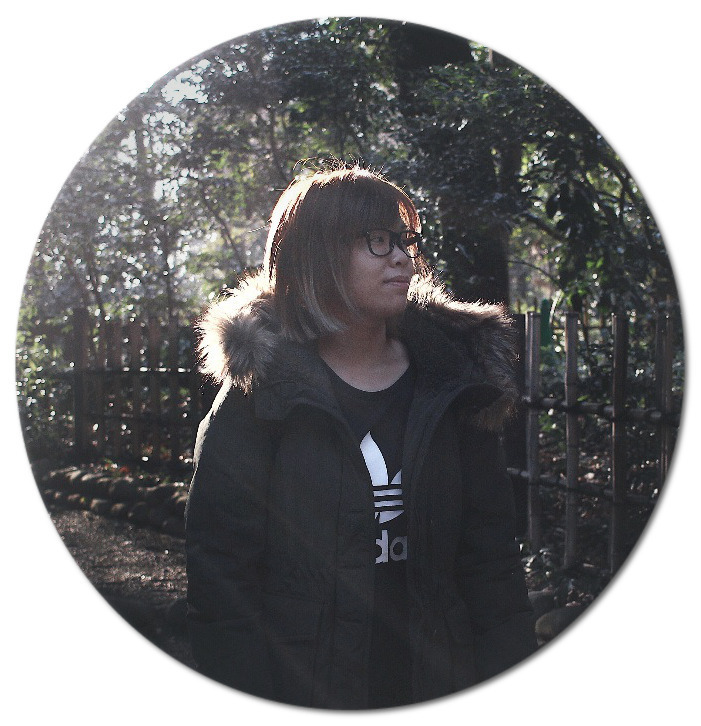 I'd definitely be back.